Health misinformation can leave people unnecessarily afraid or pessimistic about illnesses, transforming them into the “worried well.” Or it can feed into denial, making people unrealistically hopeful about their condition. Dementia and Alzheimer’s are fertile ground for misinformation, with much fear and denial among older people and their loved ones. It can be very scary to face a diagnosis, but accurate information really does help. As a cognitive neurologist, I’d like to correct a few of the most common myths because I have seen firsthand how they can worsen misunderstandings and ultimately anxiety among my patients and their caregivers. There are some memory changes that are considered a normal part of aging, but the tricky part is deciding when the memory loss is abnormal. At the very early stages of Alzheimer’s disease, a person could have slight changes to their memory that are imperceptible to anyone else. My advice: Don’t simply write off significant memory loss as an inevitable part of aging. It could be the beginnings of dementia. Researchers are developing drugs or interventions that can potentially slow dementia’s onset. If you or someone in your family has significant memory loss, get assessed by a doctor. With every decade of life, the risk of Alzheimer’s disease does go up. For example, when a person is in their 80s, they have a one-in-three chance of developing the disorder. However, about 15 per cent of those who get Alzheimer’s are under the age of 60; and I’ve seen people in my clinic who are in their 50s and even in their 40s. Just because you experience memory loss that affects your day-to-day activities, doesn’t mean it’s always Alzheimer’s disease. A doctor can investigate the condition and see if treatable causes can be addressed. 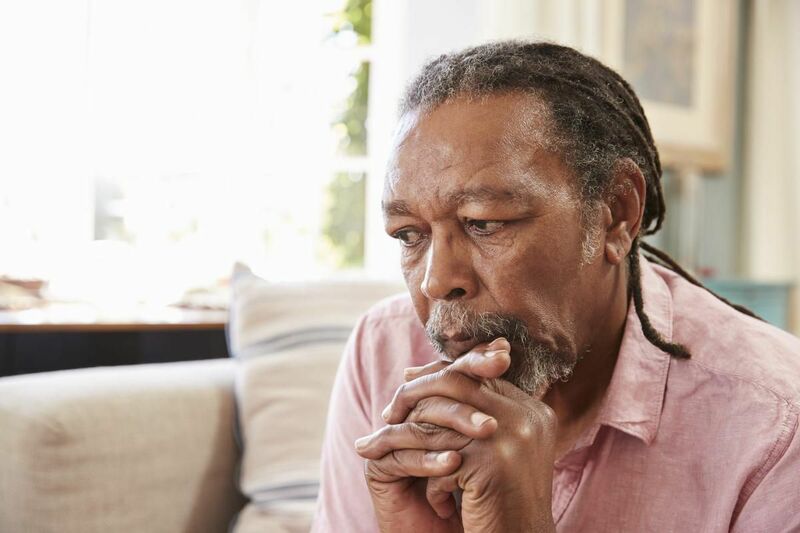 “Dementia” is a clinical term used by doctors after an individual has been found to have severe issues with their memory and mental functions, such as their ability to plan things and find words. It describes a number of symptoms that impact a person’s everyday life. Dementia is the result of a number of different illnesses. Alzheimer’s disease is one of the leading causes. Though it accounts for about 50 per cent of dementia cases, there are a number of other distinct brain illnesses that lead to dementia. So if you have been given a diagnosis of “dementia,” this doesn’t mean you have Alzheimer’s. It’s true that Alzheimer’s disease often runs in families and having a family history of the illness doubles a person’s risk of developing it. Still, about 50 per cent of the time, people with no family history of dementia are diagnosed with the neurodegenerative disorder. Besides genetics, we are just beginning to learn about other factors, such as stress levels, lifestyle factors or additional toxins that contribute to developing Alzheimer’s. In rare instances, a person’s dementia could be caused by a treatable condition, such as thyroid issues and vitamin B12 deficiencies. Blood tests could pinpoint these issues and medication can remedy the dementia. Most cases of dementia are caused by a degeneration of the brain’s cells. Unfortunately, we do not yet have a cure for these types of neurodegenerative disorders, but there are still things that can be done to improve symptoms of the illness. The act of making a diagnosis often reveals additional factors. For example, we’ve seen people with mild Alzheimer’s disease have their condition worsen due to other disorders, such as sleep apnea and depression, both of which can be treated. Toronto researchers are leading a number of studies exploring treatments for people who face a higher risk of developing dementia. These people include those who have concerns about worsening memory and thinking skills or who have noticeable cognitive changes, and have been diagnosed with mild cognitive impairment. For example, Baycrest researchers are involved in two clinical trials exploring the benefits of different types of brain training and lifestyle interventions. Older adults interested in participating in these clinical trials can contact the study at 416-785-2500 x3315. Studies show that individuals with health conditions who participate in research projects do better than those who do not. Dr. Howard Chertkow is a professor of Neurology at the University of Toronto. He is also a Chair in Cognitive Neurology and Innovation and senior scientist at Baycrest’s Rotman Research Institute, as well as the Director of Baycrest’s new Kimel Family Centre for Brain Health and Wellness. Doctors’ Notes is a weekly column by members of the U of T Faculty of Medicine.